Divided: Why we are living in an age of Walls? The word Truth may have fallen out of use … but how do we decide what is the right thing to do if we do not know what to believe? Do we even need to? Do we do least harm when we do nothing? Tim Marshall, best-selling author of Prisoners of Geography and veteran foreign affairs editor for Sky News comes to the Gladstone Club. In his 30 years as a foreign correspondent he covered 40 countries, 12 wars and 3 US elections. He reported from the front line in Kosovo, Afghanistan, the Arab Spring and the First Gulf War. What next? This week could be the book of Ruth. Or possibly Jacob. Old wine new bottles? Surreal politik’s official biographer, political journalist and satirist Rob Hutton, came to explain what’s going on and what will happen next. What kind of austerity includes £70bn deficit? Brexit : is it soft, hard or easy over? Tuition fees : are they the new poll tax? House prices have become the biggest hot potato in domestic policy. Since the young posted their protest in May politicians suddenly felt an icy chill from the very near future if they do nothing about rent and homes for young people. It is an uncomfortable truth that as one generation sees their property prices rise the effect is that their children struggle to pay the rent. 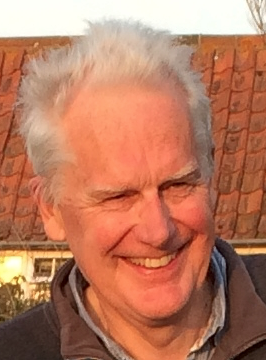 Stephen Hill, Chair, UK Cohousing Network and Trustee of National Community Land Trust Network explores the land question and what reform is possible. Young people are working harder and getting launched in family and home later – if at all – with debt, job and pension insecurities baffling to their parents. The reasons are simple, explicable and wholly curable but only if the electorate grasps the simple causes. There are two causes and neither have much to do with left-right politics. The first is the way earned incomes and property interact. The second is raw numbers. 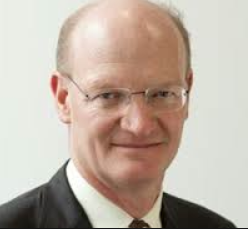 Lord Willetts, a leading thinker and minister in David Cameron’s cabinet is one of the few who have been highlighting the equity and policy implications. As a leading policy adviser to no. 10 and now chair of the Resolution Foundation he calls it ‘intergenerational equity’. Is Income Tax Fit for Purpose? The Treasury will shortly announce its Autumn Budget. One significant source of revenue is income tax. But what is its purpose? Is it purely a source of revenue or is its purpose to engineer fairness and a more equitable society? We are joined by Don Draper who has devoted his working life to tax policy first at the Inland Revenue, then with PricewaterhouseCoopers and the campaign group ‘CARE’. 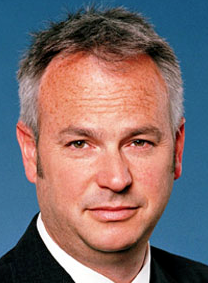 His special interest is in how tax is reshaping families and he campaigns for reform. All parties will enter the next election under new leaders – with the possible exception of UKIP! The summer saw Mr Corbyn’s election signal a major realignment of the political landscape and Mr Farron’s speech on Wednesday won wide plaudits for his emerging leadership qualities. 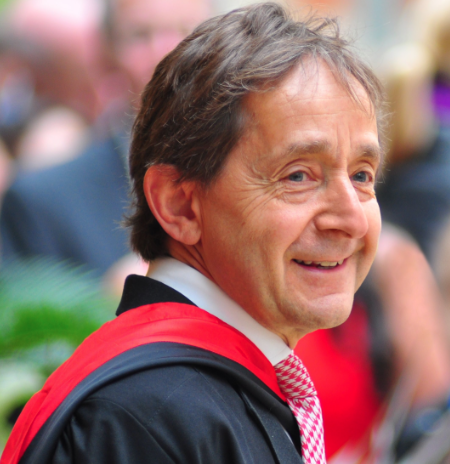 Eminent political biographer Sir Anthony Seldon reviews the second decade of the 21st century in British politics and reads the runes for the next parliament in 2020. Polling 71% Tim Farron is well ahead to lead liberals into a 2020 election. Laws, Davey, Cable, Huhne, Kramer, Webb are gone leaving Mr Clegg the only Orange Book liberal left. 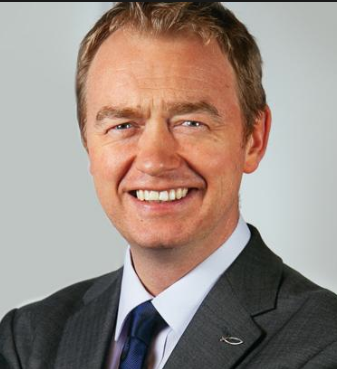 They were credited with a move back toward a Gladstonian liberalism but it is symbolic that Mr Farron chose to speak at the Club laying out his vision of liberalism. The last Lib-Con coalition under Lloyd George in 1918 similarly decimated the party. From 158 to 40 in 1924. A downward slide followed to a sustained low of 6 MPs through the 50s 60s and 70s. The pressing question today as then: traditional punishment of a junior partner in coalition or signal to change political philosophy? Two nations divided by a common language? It goes beyond language - think cricket and baseball, soccer and superbowl, parliamentary and constitutional democracy.If you're confused by what is going on in the American election, you're not alone - and not just how a complete political novice got the Republican nomination. We have an American to help. Andrew Samtoy has worked in politics, law, and media over the last twenty years, including a stint for Bill and Hillary Clinton's top advisor and pollster, Mark Penn. He will explain what we will see on November 8th including how to tally votes, why you should pay attention to Florida and Colorado but not Massachusetts or the Carolinas and how America works. Or doesn't! Can there be peaceful solutions to the crises in the Middle East? When is it time to talk to terrorists? Long established insurgent groups study the history of how that question has been answered around the world often better than democratic governments with their short electoral cycles. The one certainty is that while the battlefield invariably plays a part it has nowhere been final. John Alderdice headed the moderate Alliance Party at the height of the troubles in 1980s and 1990s and was a lead player in opening talks with the IRA. Few can claim more hands-on experience or inside understanding of the motives of armed insurgency – religious, cultural, political or otherwise. He now turns that experience to the questions posed in the Middle East. What happens when you tax people who have nothing? 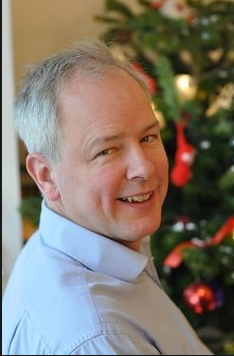 Rev Paul Nicolson founder of TaxPayersAgainstPoverty.org campaigns for those well under the ‘just about managing’ line. He will talk about families suffering the combined effect of welfare cuts and bedroom tax; the benefit cap; how Job Centres now hand out sanctions and have become harsher than the Magistrates’ Courts! and new efforts to deliver affordable housing through a Community Land Trust. When Rev Nicolson wanted to highlight unjust fines for Council Tax arrears he decided to stop paying and has been fighting Haringey Council through the courts since. We are delighted that for the time being he has avoided prison and we are making the most of the opportunity before his next hearing in February! Labour is in the spotlight on Syria. Milliband blocked strikes in 2013 - cynical politicking according to Nick Clegg at the time - but Blair’s 2003 Iraq invasion is now regarded as having spawned Isis. Both his ministers with foreign portfolios resigned, Robin Cook from the Foreign Office and Clare Short from International Development. Corbyn wants out of Nato but is not a pacifist, says Maria Eagle, shadow Defence Secretary. Clare Short talked to the Gladstone Club about finding sensible and long term solutions to the crisis of immigration. Housing crisis? Immigration? Deficit? There is an answer. How could a small island absorb mass immigration, maintain high levels of public services, housing and investment, low taxes, sustained growth and a budget surplus? 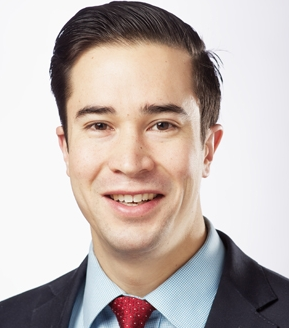 Entrepreneur, developer and economist, Andrew Purves has studied the economic and public revenue system of his native Hong Kong. Most HK residents do not appreciate the merits of a system that achieves all the goals of an advanced economy without a windfall of oil natural resource wealth. London needs more houses apparently and last month the Mayor of London agreed that ‘a Land Value Tax would bring forward land for development’. If a pilot of the policy proceeds at Old Oak Common campaigners may celebrate the biggest step toward economic justice in a century. Our one great success the Montreal Protocol of 1987 is on track to repair the Ozone layer by 2050. But there are predictable reasons why we have serially failed to agree on Carbon - from Rio in 1992 to Kyoto 1997 to Copenhagen 2009. The explanation is to be found, says Professor Scruton, in the motives needed to agree (and later adhere to) such a treaty. He finds them lacking for Carbon and hence even with Mr Obama in the White House talks will fail again in Doha this month. 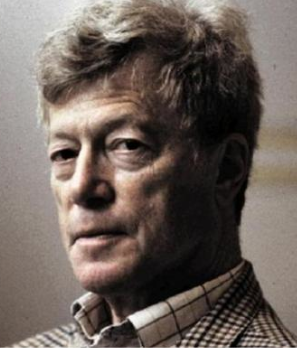 In his latest book ‘Green Philosophy’ Scruton presents a profound enquiry into the motives that drive the politics, and if they have insufficient force in internationalism then where they can be found and how they can be built upon to get results by other means. How would you deliver a new Garden City that is visionary, economically viable and popular? The question touches on green issues, energy, population, the crisis in housing supply and demand, investment, finance, local politics, governance and of course town planning and architecture. Fundamental is the land question: where should it be built? who owns the land? who benefits from the uplift from agricultural to city uses? can the principle of ‘land value capture’ fund the city? is it enough to build all the infrastructure it needs? can the principle continue to act after the city is built? The question was posed in this year’s Wolfson Economics Prize. Our speaker Dr Nicholas Falk and his colleague David Rudlin of URBED were announced the winners last month. It reflects a lifetime work on these issues. 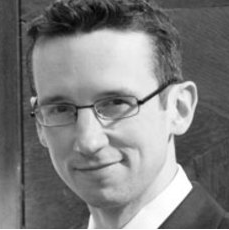 Economist and urbanist he teaches the economics of regeneration and leads study tours to the continent to see examples of how new communities can be built on sustainable principles. Politicians know they have to shape the debate and that well-honed phrases win votes as headlines sell papers. A phrase can contain a whole political philosophy. Mark Forsyth, bestselling author of ‘The Elements of Eloquence’, writer, blogger and journalist with a special interest in language joined us to explore the art of giving form to substance. “The House of Lords has for a long period been the habitual enemy of every Liberal Government”. So said Gladstone as they threatened to veto his Franchise Bill. 25 years later under Asquith the clash over Land Value Tax lead to the 1911 Parliament Act. Liberals have wanted reform ever since. Simon Hughes put the case for Lords Reform to Gladstone Club members and in an interesting 100-year twist he has also lately been promoting the party’s renewed interest in Land Value Tax. What is more of a threat to our tradition of liberty, Al Qaeda or the initiatives legislated to fight it? Nick Clegg explored the difficulties we experience to maintain liberal values and deal effectively with intelligence. Under the sound-bite ‘muscular liberalism’ he advocated more engagement with moderate Islam combined with less toleration of extremism. Are we heading towards another Cold War? Stephen outlined the history of the region, and explained official Russian arguments for legitimacy and comment on the West’s options. The Russian economy depends on its oil and gas exports and much of Western Europe depends on Russian oil and gas. Could sanctions be applied in this area? Does the West have the strength and leadership to stop Putin or will we end up settling for appeasement? 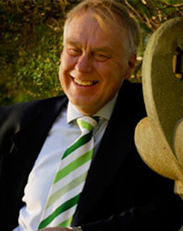 Stephen Dalziel is a veteran Russian affairs analyst. From 1988-2004 he was the BBC's Russian Affairs Analyst interviewing many Soviet and Russian figures, including Mikhail Gorbachev, Boris Yeltsin and Eduard Shevardnadze and for five years from 2007 Executive Director of the Russo-British Chamber of Commerce. Ross Ashcroft and Megan Campbell set themselves to get a new understanding of economics to a young audience. They are convinced that internet and the moving image are the ways to do it and their latest film Four Horsemen dramatically joins edited 'talking head' interviews like 'Inside Job' with narrated explanatory animated sequences like 'Money is Debt'. A powerful combination. Is there political life after tomorrow? 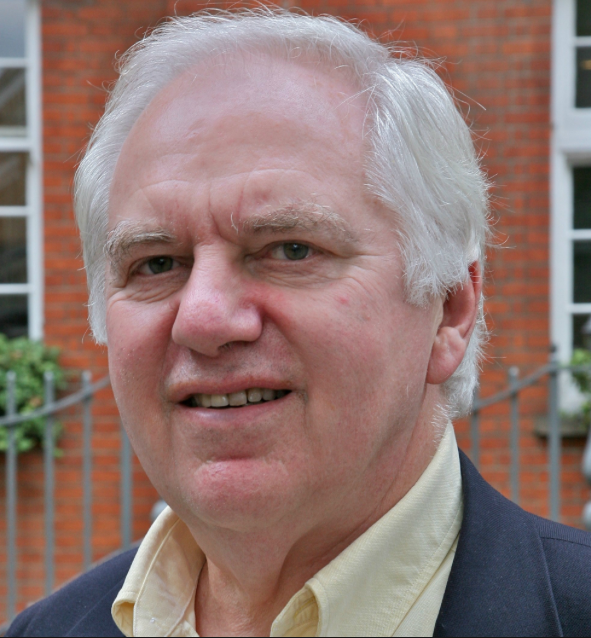 the scene is set by Mark Pack – journalist, historian, party activist, expert on electoral law and leading LibDem blogger. What are the emergent manifesto battle-lines? Are there signs that Mr Clegg is courting a Labour alliance in the event of a hung result? How far do contrasting political philosophies in fact share ground on which alliances can be built? Or will the Liberal party be obliterated as it was after the last Conservative partnership? Poorer countries tend to have higher marriage rate and lower divorce rate and yet the opposite seems true domestically: in Britain poorer people are less likely to marry and more likely to divorce. Does it matter what form families take? Or whether they are transient or permanent? Can policy be neutral to the form of families? Harry Benson, Communications director for the Marriage Foundation talked to our members about whether marriage matters. New crimes in the statute book over the last 20 years exceed those of the preceding six centuries. The free and lawful man of the common law was largely expected to regulate himself - an inexpensive form of government. But Governments in Whitehall elected on their promises, and wanting to promise something to everyone, have been swelling the statute books at a terrific rate. Has this essentially democratic progression consumed the air he used to breath? 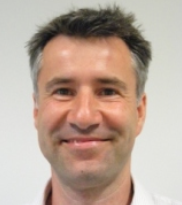 Jeremy Horder Law Commissioner for England and Wales has taken up the gauntlet of challenging the statute culture and framing advice for government on where to consider other avenues. Fat, ugly and vulgar. Compared with our continental neighbour Britain has much more obesity, penchant for brutal shaven heads and slum chic, and increasingly crude behaviour. Anthony Daniels does not so much apologise as forewarn that his observations will be sweeping and laced with judgement. To ‘speak truth to power’: the duty and the right of the church to give a moral lead in affairs of government. The church has lead some great political campaigns, the abolition of slavery, Jubilee 2000 on 3rd world debt. At the same time, relentless religious conflicts underscore the case for secular states with religion kept firmly at arms length. What sort of age we live in now is itself arguable. Only 18% regularly attend church but the number regarding themselves as Christian still exceeds 70%* at last count. 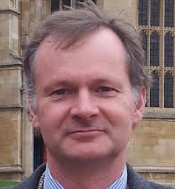 Who better to reflect on mace and mitre than Westminster’s attaché to the Holy See, Ambassador Francis Campbell. Arabia has always fascinated - never more than now. Tunisia, Yemen, Algeria, Syria, Jordan, Egypt, Libya - chains rattling across the middle east and comparisons with the late 1980s domino tumble of regimes across eastern europe. Libya in the spotlight now but who can predict where the spirit of revolution will ignite next? A good time to count among your friends Jonathan Fryer, for many years foreign correspondent for the BBC specialising in middle eastern affairs, extensively travelled in the region, has written for everyone from Reuters to the Spectator. 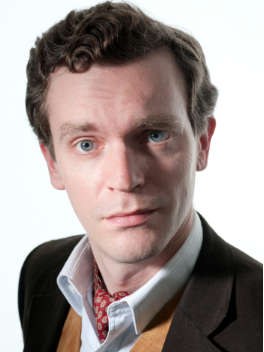 Jonathan frequently provides depatches for Radio 4’s ‘From Our Own Correspondent’. Which as a long time friend and member of the Gladstone Club is how we think of him! Raymond Makewell Australian economist and author of ‘The Science of Economics’ presented a concise economic history of Britain tracing the fortunes of economic freedom with reflections on the rise of capitalism and on the classical liberal interest in conditions of access to land. Vince Cable, an artful politician, well respected for his experience and understanding of economic affairs explained in a most accessible way the nature of the economic crisis facing the world and Britain at present; the origins and causes of it and ways that world governments are looking at tackling these difficulties to prevent further recession and decline. Is there a way out? A call to govern. 'First Past the Post' v. 'Alternative Vote' "The first-past-the-post system for Westminster elections gives voters the chance to kick out a government they are fed up with." "Change politics and abolish safe seats by introducing a fair, more proportional voting system for MPs." On 5th May we will be called in the UK's second only referendum to review how we choose who governs us. What will you choose? Acclaimed writer, broadcaster and independent thinker, economist, award-winning journalist, political commentator, author of the best selling The State We’re In (1995), The World We’re In (2002) and most recently The Writing on the Wall (2007) on China and the West in the 21st century; long time chief executive of The Work Foundation, Will Hutton challenged and engaged members of the Gladstone Club at our Annual New Year Dinner. For a full report see link below. 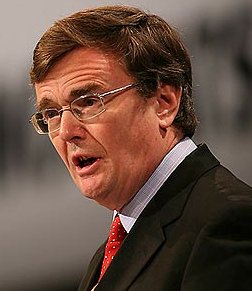 Best known now for his forthright views on banking reform, Lord Oakeshott has a special interest in the economy and the role of government in relation to it. He now turns his attention from banking to fiscal policy and asks if taxation can be fair and also friendly to growth. At a time when we tolerate so much have we lost with it the freedom to think and speak what we believe. Fearless and Frank, Ann Widdecombe spoke of the three ills afflicting society today: political correctness and its two ugly sisters, the rights culture and the compensation culture. What is it like to be at the centre of a seismic shift? The first Liberal ministers in living memory of whom Chris Huhne is #3 and with the Energy and Climate Change portfolio ranks #8 in a cabinet of 22. Cause for optimism for Liberalism and perhaps in particular for Gladstonian Liberalism? Mr Huhne escaped the affairs of high state to address the Gladstone Club on the Coalition, the challenges and the road ahead. If there was ever a time when we needed to know what makes a William Ewart Gladstone, now is that time. In a system undermined by misappropriation of political privilege, he was able to rise through it untainted and undeterred and reform it from within. Highly idealistic, deeply devout, yet able to build a consensus out of feuding factions; he could deliver a masterful critique of the history and principle of income tax, yet raise it to repair a disastrous deficit, and still grow in credibility and popularity. Dr Eugenio Biagini, lecturer in Modern British History at the University of Cambridge, touched on the essence of Gladstone the Statesman, the times he lived in and compared it with our world of politics today. 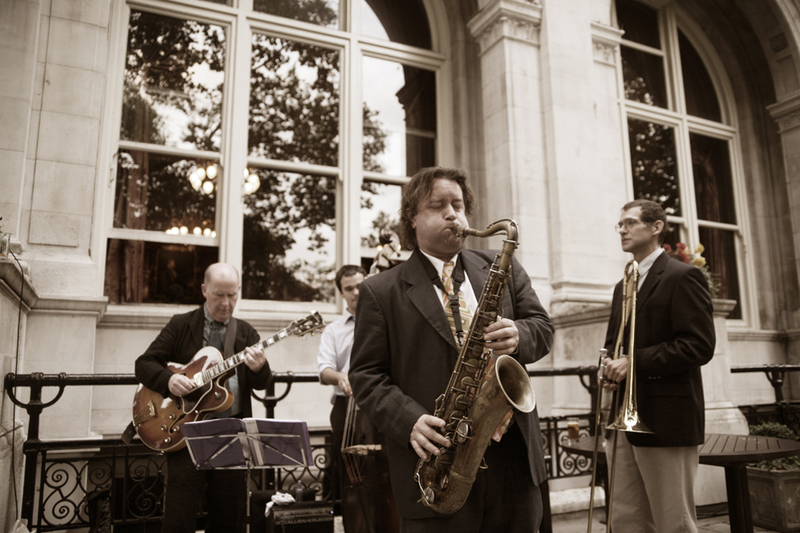 Set in the beautiful surrounds of the National Liberal Club terrace we celebrated the Bicentenary of William Gladstone's birth with Pimm's & canapes and summer Jazz. Former Times correspondent and long time friend of the Gladstone Club Geoffrey Smith turned his brilliant and sharp intelligence to the approaching general election. 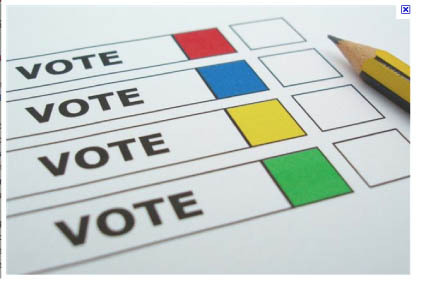 Whichever of the five classic voting strategies you prefer - party-tribal, presidential, policy in the national interest or in your personal tax interest, integrity of the local candidate or a tactical mix of two or three - Geoffrey provided unexpected insights to sharpen your ballot booth pencil. The British Constitution - time for change? Professor Anthony King, well known for his analysis of the political scene on election nights and an expert on the British constitution shared with the Club his insights on the nature of the changes that have taken place to the Constitution over the past 50 years through such things as devolution and the strengthening of the independent judiciary. Britain is a much more complex society now. Have the changes been beneficial? Is the constitution a mess? Is there any merit in changing it further? Or do we risk losing something of great value? Economic analyst Phil Anderson’s life work has been to chart the fall and rise of business cycles back to the 1800s. Over the last few years while many of us rejoiced in rising asset values, Phil predicted 2010 would be the bottom of a precipitous correction. Phil explained the remarkable regularity of the cycle, complete with mid-cycle mini-recession, the invariable appearance of a sharp credit contraction and ultimate crash. Political Correctness is deplored almost as universally as it is practiced. Who is free from that inner censorship in private, let alone on public forum? And so it is of enormous value that someone should take the trouble to penetrate what exactly PC is and how it operates. Anthony Browne has done just that. When it comes to houses, the rich are getting richer while their children are getting poorer. We, in England, live in some of the smallest, oldest and costliest homes in the developed world. In his report "Bigger Better Faster More" Dr Hartwich shows how other equally populace countries build bigger houses in green and pleasant cities while avoiding house price inflation. Charismatic Democrat follows unpopular Republican in the throws of recession and a banking crisis. Obama takes the reigns on 20th January but in the meantime he is publicly reflecting on Franklin D Roosevelt’s first 100 days in 1932. The world holds its breath, hoping for reason to hope. Should we expect an audacious scheme of Public Works or will the Obama New Deal be an altogether new new deal? The Gladstone Club was delighted to welcome back Geoffrey Smith, former American correspondent to the Times to speak about the American elections, the consequences of Obama's victory and effects for domestic and world politics. The politics and intrigues of Russia from Gorbachev to Putin. 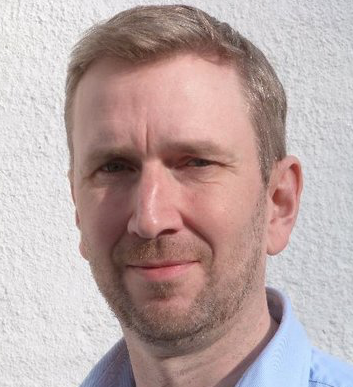 Stephen spent 16 years as Russian Affairs Analyst with the BBC World Service, and six years lecturing on Soviet military studies at Sandhurst Military Academy. He has interviewed Russian presidents, ministers and double agents and was in high demand to shed light on the Alexander Litvinenko affair. Just as the poles briefly edge him into first place, Chris Huhne shared with the Gladstone Club his broad vision for the party and for policy domestic and foreign. Among other topics he notably used the opportunity to plot out for the first time his distinctive position on defence and the nuclear deterrent. The world prefers English law. Much of international commerce specifies English Law for its contracts and 80% of cases in London’s commercial courts involve a foreign party. So if you thought English Common Law was long since buried under Statutes and European codes – apparently not. It is alive and well in this area at least. But how well has it survived elsewhere in the system? Does it still preserve our freedoms? How does the balance stand as between the individual and the state? Taxation is a subject not universally greeted with enthusiasm. But Gladstone Club members tend to relish some hard economic principle in their politics. So they welcomed an insight into the remarkable document from Vince Cable’s tax commission which develops both just and principled policy from the fundamental canons of taxation. Theodore Dalrymple (Dr. Anthony Daniels) was a prison doctor and psychiatrist for many years before retiring to France. 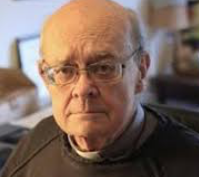 In his book ‘Romancing Opiates’ he seeks to argue that addiction to opiates is not an illness at all and that the medical bureaucracy only make it worse. He sets out to prove that methadone is not only counterproductive but also dangerous and that the real problem lies with the emotional and spiritual depravation particularly of the ‘underclass’ in our society. He also argues that human beings are being regarded as inanimate objects rather than as agents of their own destiny. In the wake of the Tsunami crisis, Claire Short, previous Cabinet member for International Development shed light on the government’s response to international crises both of natural disasters and political conflict. What part should we as individuals and as a nation be playing? A local councillor for 7 years and a successful campaigner ousting one of Labour’s ‘rising stars' in Enfield Southgate, David shared his reflections on a year at Westminster. He tackled questions on the role and responsibilities of an MP; finding a balance between national and local issues; the significance of the vote and the impact and influence a politician might have (either positively or negatively) at a local and national level. Is it possible for terror bombing and military retaliation to give way to dialogue? Lord John Alderdice was recognised with a peerage for his part in doing just that. 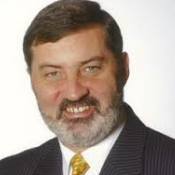 Leader of the Alliance Party, First Speaker of the Northern Ireland Assembly and appointed by the British and Irish Governments to the Independent Monitoring Commission established to assist in completing implementation of the Good Friday Agreement, Lord Alderdice explored the very real difficulties in bringing a lasting peace to a troubled nation. As notes and coin dwindle to 3% of money in circulation, so dwindles the portion of money issued free of interest. In a departure from the club’s customary format, the subject was introduced via a short film by Canadian political artist Paul Grignon. In an entertaining polemic on the nature of money and banking, the film focuses on how, long since freed from ties to gold or other valuable commodity, money now is created by private banks out of nothing but the borrower’s undertaking to pay.